Lighthouse on the Straits of Mackinac! 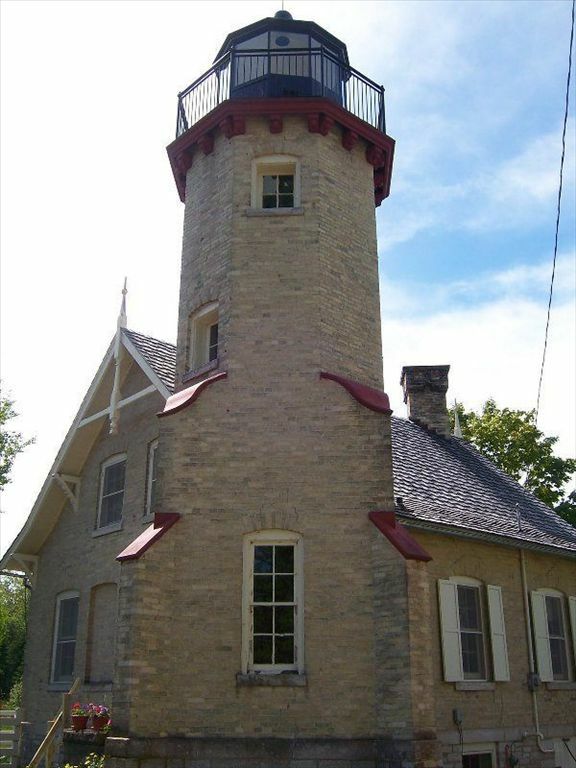 Emmet County owns the historic McGulpin Point Lighthouse, which protected shipping on the Straits of Mackinac against storms, fog and rocks between 1869 and 1906. It was purchased by the county in 2008, which reopened McGulpin to the public with a gala celebration on May 30, 2009. The site is approximately 10 acres and is a half mile north of the Headlands. It includes 336 feet of shoreline on the Straits with a commanding view of the Mackinac Bridge. It was purchased for $710,000 from the Peppler family.